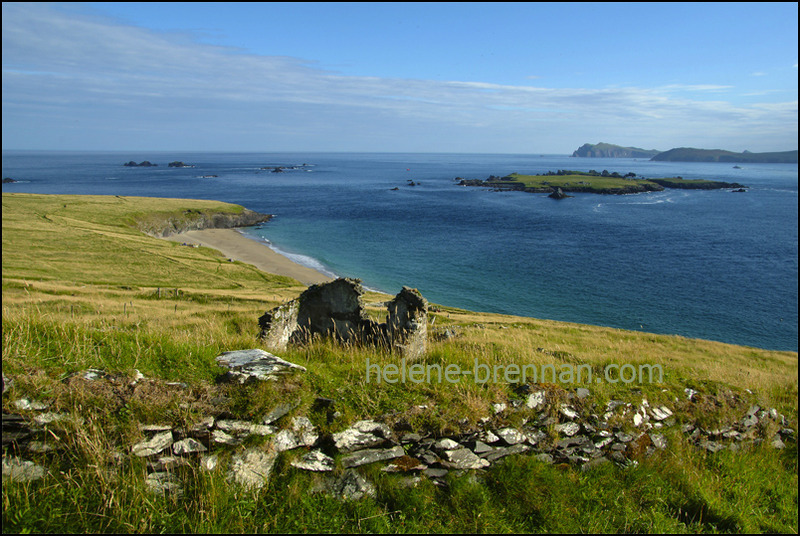 Ruin of a Blasket home with the beach An Trá Bán, Beiginis Island and Sybil Head on the mainland . Unframed, no mount. Framing may be available. Please enquire.